INFASHIONLOVE.COM: OPI Original Nail Envy, Maximum Strenght Formula, Nail Strenghthener! 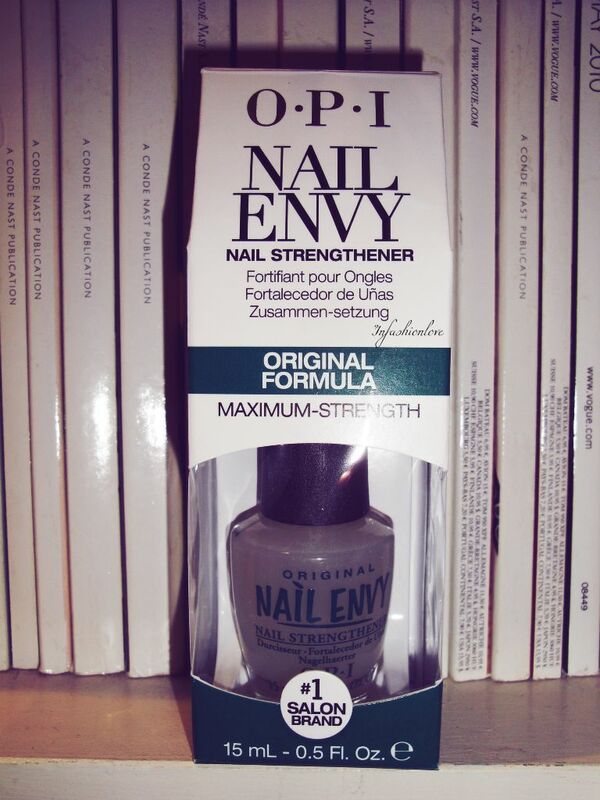 OPI Original Nail Envy, Maximum Strenght Formula, Nail Strenghthener! As I mentioned yesterday I have started using the OPI Nail Envy in the Original Formula. I have long nails and pretty happy with them, but although they are growing quite quickly the nail on my index and sometimes the middle finger too keep braking almost right at the base. So I decided to try and get them to grow stronger. OPI Nail Envy has fantastic reviews, and it's meant to be amazing if you have short nails that won't even grow, or are brittle or weak. I've been using it for over a week, and my nails feel a lot harder and stronger. I also noticed that it seems to make my nailpolishes last a lot longer, literally preventing them from chipping. Pretty amazing! The way you meant to use it is on a weekly rotation: applying two coat to clean nails as a base and then adding one coat every other day, and then after a week take it all off and start again. I apply two coats as a base, then two coats of a nailpolish and finally one coat of Nail Envy again to finish off, if I want a fast drying topcoat I then seal the whole deal with my Sally Hansen Insta Dri Top Coat and then add another coat of Nail Envy every other day.